In a previous tutorial we’ve talked about the Advanced Custom Fields (ACF) WordPress plugin and how to hide the settings unless the user is an admin. Now we are bringing you another two-part tutorial revolving around this powerful plugin. 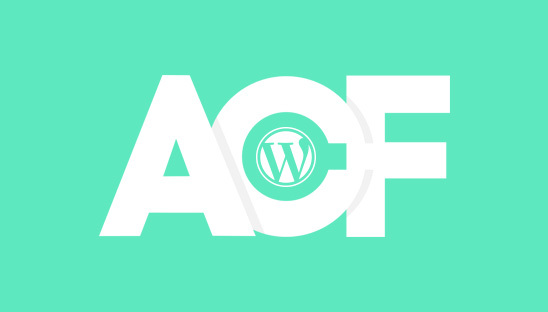 You may already know how to add the ACF custom option pages to the WordPress dashboard so now we are going to teach you how to take them a step further by adding them directly to a custom post type. In part 1 of this two-part tutorial, we are going to teach you how to add custom fields to a custom post type using the Advanced Custom Fields (ACF) WordPress plugin and a PHP function. In order to add an Advanced Custom Fields (ACF) Options Page to your custom post type in the WordPress dashboard we will need to add a PHP filter to the WordPress functions file. Simply open your functions.php file then copy and paste the code below, please refer to the ‘Items to Note’ below for detailed setup instructions. Make sure that you change where it says ‘YOUR-PAGE-TITLE’ to a custom page title of your choice. Make sure that you change where it says ‘YOUR-MENU-TITLE’ to a custom menu title of your choice. Make sure that you change where it says ‘YOUR-SLUG’ to a custom slug of your choice. Make sure that you change where it says ‘YOUR-CUSTOM-POST-TYPE’ to the custom post type that you want to add your custom fields option page to. After completing the above steps your newly create ACF Field Group should now be attached to your Custom Post Type’s Options Page. In part 2 of this tutorial we will teach you how to display the custom fields you created for your Custom Post Type in your WordPress theme template file using PHP.